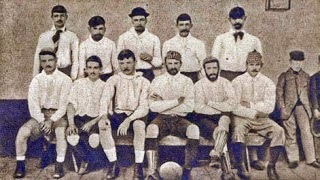 On 31 July 1899, Lobos Athletic Club completed the first-ever international tour by an Argentinian club, defeating Uruguay's Peñarol 2-0 in Montevideo. Lobos were founded on 3 July 1892 in the Argentinian district of Lobos, just over 100 km from the city of Buenos Aires. The side stretched the definition of "amateur," with only four or five players having any playing experience at all. By 1894, though, the club was one of the best in the country and joined the Football Association League of Argentina, which was based in Buenos Aires. Lobos' tour consisted of two matches, both against Uruguayan sides in Montevideo. The first, played on 30 July 1899, was a 2-1 win against Albión. After the second match against Peñerol, a political revolt erupted in the capital, forcing the Lobos players to take refuge in a Royal Navy warship, which brought them back to Argentina. By 1899, the other clubs in the League were unhappy about making the 100-km trek to Lobos for matches. They petitioned the League, who decreed that all teams must have playing fields within 50 km of Buenos Aires. Thus excluded from the League, Lobos dissolved shortly afterward. 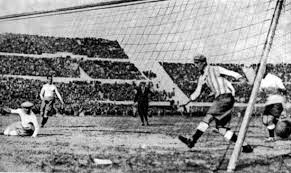 On 30 July 1930, Uruguay defeated Argentina 4-2 in the first World Cup Final before a standing-room-only crowd of over 100,000 at Montevideo's Estadio Centenario. FIFA chose Uruguay as the host country because its national team were reigning world champions, having taken the gold medal at the 1928 Summer Olympics in Amsterdam. Argentina had claimed the silver, after playing Uruguay to a 1-1 draw on 10 June 1928, then falling 2-1 in the replay three days later. So the two sides were very familiar with one another leading up to the 1930 World Cup. Uruguay scored first in the Final, with a 12th-minute goal from striker Pablo Dorado, who shot the ball through the legs of Argentinian keeper Juan Botasso. Argentina rallied, however, and took a 2-1 lead into halftime with goals from right forward Carlos Peucelle (20') and center forward Guillermo Stábile (37'). Stábile's goal was his eighth of the tournament, making him the top scorer. The second half, though, belonged to the home side. Inside-left forward Pedro Cea scored the equalizer in the 57th minute, then outside-left forward Santos Iriarte netted the eventual match-winner in the 68th minute. Center forward Héctor Castro added another for good measure in the 89th minute, completing Uruguay's victory. On 29 July 2007, Iraq defeated Saudi Arabia 1-0 before a crowd of 60,000 at the Bung Karno Stadium in Jakarta to claim their first AFC Asian Cup title. The 2007 tournament was co-hosted by four countries—Indonesia, Malaysia, Thailand, and Vietnam. Organized by the Asian Football Confederation, the Asian Cup was first played in 1956 and is usually played every four years. The AFC scheduled the 2007 tournament, however, only three years after the previous tournament in order to move the Cup off the same cycle as the Summer Olympics and the UEFA European Championship. In the group stage, Iraq drew against Thailand (1-1) and Oman (0-0). In between, they beat newcomers Australia—who had just joined the AFC in January 2006—by the score of 3-1. Iraq advanced as group leaders, with Australia progressing as second-place finishers. In the first knockout round, Iraq eliminated Vietnam (2-0), setting up a semi-final match against tournament favorites South Korea. The Korean side had advanced by defeating Iran on penalties, 0-0 (4-2), and forced the semi-final into penalties before falling to Iraq, 0-0 (4-3). (South Korea proceeded to win the third-place match, again on penalties, by defeating holders Japan, 0-0 (6-5)). 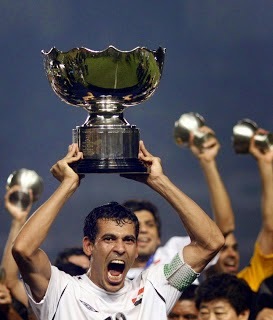 In the Final, Iraqi forward and captain Younis Mahmoud scored the match's only goal in the 72nd minute, giving the Iraqis their first major trophy since the beginning of the Gulf War. On 28 July 1962, the Bundesliga was created in the West German city of Dortmund. 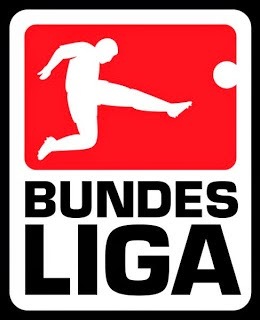 The Bundesliga is the top tier of the German football pyramid, with promotion from and relegation to the second tier, known as the 2d Bundesliga. Football in Germany dates back to the 1870s, when it was introduced by English expatriates. The locals quickly took to the sport and, by 1900, had created so many clubs that the need for some administration was apparent. On 28 January 1900, representatives from 86 clubs met in Leipzig and founded the Deutscher Fußball-Bund ("DFB"). 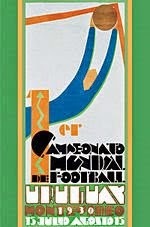 Although the DFB administered football across the nation, it was essentially a collection of regional leagues. By the 1950s, German football's status began to drop, as many of Germany's best players left for other countries and the German national team struggled in international competitions. Critics blamed the decline on the DFB's league structure, which at that time consisted of five separate regional leagues known as the Oberligen, and issued calls for a national professional league. On 28 July 1962, after the West German national team was eliminated from the World Cup by Yugoslavia, newly-elected DFB President Hermann Gösmann approved the creation of the new 19-team national league to begin play in the 1963-64 season. 46 clubs from the five Oberligen applied for the 19 available spots, but the five Oberligen champions for 1962-63 earned automatic inclusion, leaving 41 teams to compete for the final nine spots. The remaining teams were ultimately chosen based on a formula that assigned value to their league finishes and cup appearances. The Bundesliga played its first season in 1963-64 as scheduled, with FC Köln claiming the first title. On 27 July 1994, defender Alexi Lalas signed with Serie A side Padova, becoming the first American in the modern era to play in Italy's top flight. Lalas rose to national prominence while playing for Rutgers University, leading them to the NCAA Championship Game in 1990. In 1991, he was named a First Team All American and also won both the Hermann Trophy and the Missouri Athletic Club Player of the Year award. After graduating from Rutgers in 1991, Lalas did not sign with a club and played exclusively for the United States national team. Between 1991 and 1998, he earned 96 caps and scored 9 goals for the national side. A charismatic and colorful character, with his trademark long red hair and a beard, Lalas achieved near-celebrity status during the 1994 World Cup. He started and played every minute in the US's four matches, until they were eliminated by eventual winners Brazil in the first knockout round. Lalas' performance in the World Cup drew the attention of Padova, who had just been promoted to Serie A for the 1994-95 season. Padova finished at the bottom of the table in 1995, but won a relegation playoff to remain in the top flight. At the end of that season, Lalas signed a contract with MLS to play in the new league's inaugural season, but MLS had to delay its start until 1996, so it loaned Lalas back to Padova for the 1995-96 season. In 1996, Lalas signed for the New England Revolution, where he played until December 1997 (including a brief period on loan with Ecuadorian side Emelec). He spent the next several years with various MLS clubs, including the NY/NJ Metrostars, Kansas City Wizards, and Los Angeles Galaxy. After his playing career ended, Lalas spent time as a broadcaster as well as serving as the general manager of the San Jose Earthquakes, Metrostars/Red Bulls, and the Galaxy. He is currently working as an analyst and commentator for ESPN. 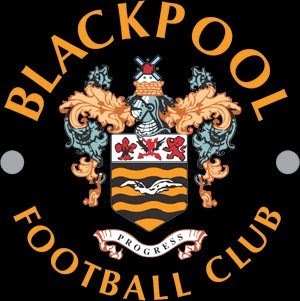 On 26 July 1887, Blackpool F.C. was founded in the town of Blackpool in Lancashire, England. The club was created after a group of five individuals split from St. John's F.C., another club that had been in Blackpool for almost ten years. During a meeting of the St. John's players, the five argued that the club's name should be changed to reflect the name of the town. When the other members remained unconvinced, the five left the meeting and immediately formed Blackpool F.C. Shortly after, the remaining members of St. John's left that club to join Blackpool and St. John's shut down. Blackpool were founding members of the Lancashire League, which played its first season in 1889-90. Blackpool won the league title in 1894, but soon after began to struggle and, in 1896, switched its membership to the competing Football League. They have remained in the Football League ever since, with the only exception being a return to the Lancashire League for the 1899-1900 season. Blackpool were readmitted to the Football League in 1900 as a member of Division Two. Despite flirtations with relegation in the following years, they won the division in 1930 and were promoted to England's top flight over second-place finishers Chelsea. They lasted three seasons in the top flight before being relegated after the 1932-33 season. Blackpool enjoyed their most successful period in the years following World War II, when they spent 21 consecutive seasons in the top flight from 1946 to 1967, finishing second in 1956 and third in 1951. It was during this period that they attained their greatest achievement to date, winning the FA Cup in 1953 with a 4-3 win over Bolton after being down 1-3. The club began a slow decline in the 1970s and '80s, getting relegated to the Fourth Division from 1981 to 1985, then again from 1990 to 1992. An upswing in fortune saw them reach the Premier League for the 2010-11 season, but they dropped down to the Championship, England's second tier, the following season and have remained there since. Labels: Blackpool F.C., St. John's F.C. On 25 July 2004, Brazil defeated Argentina on penalties, 2-2 (2-4), in the Copa América Final at the Estadio Nacional in Lima, Peru. First played in 1916, the Copa América is the oldest existing international tournament in the world. It is played among the 10 national sides in the South American football federation, CONMEBOL, along with two additional teams who are invited to round out the field to 12. For 2004, the invited teams were Mexico and Costa Rica. Argentina finished second in its group to Mexico, then advanced to the final with knockout stage wins over Peru (1-0) and Colombia (3-0). Brazil also finished second in its group, to Paraguay, then defeated Mexico (4-0) and Uruguay (on penalties, 1-1 (5-3)) to reach the Final. In the Final, Argentina took an early lead with a 20th-minute penalty kick from winger Kily González. Brazil equalized just before halftime, however, with a goal from Luisão in the 45th minute. The teams were just as evenly-matched in the second half, with Argentina going ahead with a strike from winger César Delgado in the 87th minute, only to see Brazilian striker Adriano pull his team level once again. In penalties, Argentina's opening kick, from Andres D'Alessandro, was blocked by Brazilian keeper Julio Cesar, who guessed correctly with a diving save to his right. Defender Gabriel Heinze then missed Argentina's second attempt, while Brazil's players made all of theirs, giving Brazil their seventh Copa América trophy. 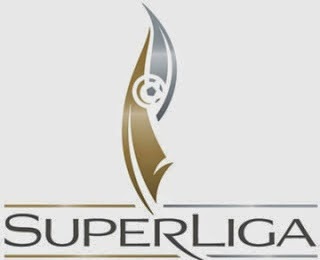 On 24 July 2007, the first two matches of the inaugural SuperLiga competition were played in California and Texas. Intended to be a smaller North American version of the UEFA Champions League, the competition includes US and Canadian teams from MLS, as well as teams from Mexico's Primera División, drawing four teams from each league. The teams play a group stage with two 4-team groups. The top two teams from each group then advance to the knockout stages, which consist of the semi-finals and the final. For the inaugural tournament, the teams were chosen by invitation. MLS selected DC United, FC Dallas, Houston Dynamo, and LA Galaxy, while the Primera División chose Monarcas Morelia, Pachuca, América, and Guadalajara. In those first matches, FC Dallas drew 1-1 with Guadalajara, while the Galaxy defeated Pachuca 2-1 with an 81st minute matchwinner from Landon Donovan. Both LA and Pachuca advanced from their group and faced each other again in the Final, where Pachuca got their revenge, winning on penalties 1-1 (3-4). 23 July 1944 - Which Side Was The Navy Supporting? On 23 July 1944, a group of French civilians played a match against members of the American Army's 9th Air Force in the town of Saint-Pierre-Église, located in Lower Normandy. Held to celebrate the liberation of the town from the Nazis, the match was played before an audience of 1,000 soldiers and civilians. Two of the US airmen, Corporal Kurt Wien and PFC Herbert Sorter, had played for Stanford University. Sorter scored late in the first half, but the French side claimed a 4-1 victory. The match also served as an opportunity to raise funds for refugees from the nearby city of Caen, with the American servicemen contributing 1,643 francs. On 22 July 2004, the football team of the Université National de Bénin lost 1-2 to Jeunesse Sportive de Pobè in the first round of Benin's Coupe de l'Independence. The Coupe de l'Independence is a league cup-style tournament in which ten teams from Benin's top division participate. Because the first round includes all ten teams, resulting in only five winners, one of the losing sides, known as a "lucky loser," advances to the next round in order to provide an even number of teams. In the case of the 2004 Coupe de l'Independence first round, that team was UNB. UNB also lost their second-round match, this time to ASJA FC in a penalty shootout, 4-4 (4-5), but again advanced as lucky losers in order to provide a fourth team for the semi-finals. There, UNB recorded their first win of the tournament, beating Soleil FC 2-1 (a.e.t.). In the Final, UNB faced ASJA again. This time, however, UNB won 1-0, with a 17th minute goal from Paul Koyaya. They thus became the only team in football history to win a cup tournament despite losses in two successive knockout rounds. On 21 July 2007, David Beckham made his debut for the Los Angeles Galaxy in a 0-1 friendly loss to English Premier League title holders Chelsea before a capacity crowd of 27,000 at LA's Home Depot Center. One of the most famous and marketable footballers in the world, Beckham's appearance had been highly anticipated ever since the January 2007 announcement that he was leaving Real Madrid at season's end to sign a 5-year contract with the MLS's Galaxy. At the time the announcement was made, Beckham had fallen out of favor with Real boss Fabio Capello and was spending a significant amount of time on the bench, leading to the general perception that he was coming to the US to wind his career down. In the months after the announcement, however, his level of play and time on the pitch increased and Real pipped rivals Barcelona to the La Liga title. Real then tried to undo the Galaxy deal, but the MLS side held firm and Beckham crossed the Atlantic. His Galaxy debut was uneventful, as a nagging ankle injury limited his training time and forced manager Frank Yallop to start the match with Beckham on the bench. Nevertheless, match broadcaster ESPN devoted substantial airtime to Beckham, at times splitting the screen with the match on one side and Beckham on the other. With the Galaxy down 0-1, Beckham came on in the 78th minute to a standing ovation. His appearance had little impact, however, and the match ended as a 0-1 loss. Labels: David Beckham, Fabio Capello, Frank Yallop, Los Angeles Galaxy, Real Madrid C.F. 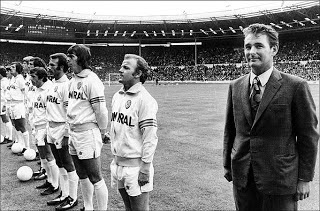 On 20 July 1974, controversial manager Brian Clough was named manager of Leeds United. He was dismissed from the post on 12 September 1974, after only 44 days in charge. A star striker for Middlesbrough (1955-61) and Sunderland (1961-64), Clough's playing career was cut short by a knee injury. He turned to management and, in 1965, took over at Hartlepools United. He was then just 30 years old, making him the youngest manager in the League at that time. In May 1967, Clough took over at Derby County, then languishing in the Second Division. Clough, along with assistant manager Peter Taylor, reversed Derby's fortunes and led them to the First Division title at the end of the 1971-72 season. Clough and Taylor soon fell out with Derby's Board of Directors over issues including transfer fees and Clough's propensity for making controversial statements (such as his criticism of the Derby supporters as "a disgraceful lot"), and the pair resigned in October 1973. After a brief and unsuccessful spell at Brighton & Hove Albion during the 1973-74 season, Clough took the reins at Leeds, who were coming off their own First Division title. Taylor remained at Brighton. Clough's move to Leeds raised more than a few eyebrows, as, during his time at Derby, he had been especially critical of Leeds and their previous manager, Don Revie. In particular, he had accused Revie's Leeds side of playing dirty and suggested that the club should be relegated and Revie himself fined. Despite his appointment as manager, Clough reportedly remained vociferously critical of Revie and Leeds' prior tactics, which alienated him from many of the team's best players, including the midfield pair of Irish international Johnny Giles and Scottish international Billy Bremner. Clough's Leeds side won only one match and drew two from its first six, after which he was promptly sacked. Clough cemented his status as a coaching legend, however, after moving to Nottingham Forest in 1975. At that time, Forest was a mid-table Second Division side, but Clough and Taylor (who joined Forest from Brighton in 1976) led them to promotion in 1977 and the Division One title in 1978. At Forest, Clough also achieved his crowning glory, winning back-to-back European Cup titles in 1979 and 1980. Clough retired in 1993 and died in 2004. In 2006, author David Peace published a fictionalized account of Clough's time at Leeds, titled The Damned Utd. Critics generally praised the book, but Clough's family and former players—including Giles—claimed Peace's portrayals of events was inaccurate and painted Clough in an unfairly negative light. A film version of the book was released in 2009, starring Michael Sheen as Clough. 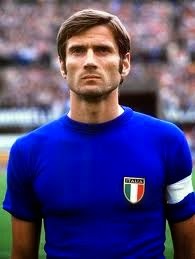 On 18 July 1942, former Inter Milan defender and president Giacinto Facchetti was born in Treviglio, Italy. Facchetti played his youth football as a forward with his hometown club Trevigliese from 1956 to 1960, when he was discovered by Inter manager Helenio Herrera and brought to Milan. Herrera switched him to fullback, where he played an integral role in Herrara's catenaccio system. The system relied heavily on a strong backline in a 5-3-2 formation, with a libero, or sweeper, dropping behind the center backs. Facchetti was a key member of the Inter team known as "La Grande Inter," which won four Serie A titles between 1962 and 1971, as well as back-to-back European Cup trophies in 1964 and 1965. He spent his entire professional career with the Nerazzurri, making 629 appearances (and scoring 75 goals) before retiring in 1978. In all those appearances, he was sent off only once (for clapping sarcastically in response to a referee's decision). He also made 94 appearances for the Italian national team, winning the 1968 UEFA European Championship and finishing runner-up to Brazil in the 1970 World Cup. He was elected President of Inter in January 2004, but served less than three years before dying of pancreatic cancer in September 2006. He is one of 14 Italian players included on Pelé's March 2004 list of the 150 greatest footballers. On 17 July 1991, the 22 clubs in England's First Division executed the Founder Members Agreement, in which they each agreed to set up a new league that would be separate and apart from the existing Football League. 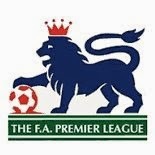 The new league, called the Premier League, replaced the First Division as the top tier of English football. The move was driven by five clubs in particular—Arsenal, Everton, Liverpool, Manchester United, and Tottenham Hotspur—amid concerns about the organization of the 90-member Football League. In particular, the breakaway clubs were unhappy with the fact that each of the 90 clubs in the First through Fourth Divisions of the League had an equal voice in League decisions. They also believed that the League was not taking full advantage of the revenue available from television contracts. Indeed, one of the "basic principles" set forth in the Founder Member Agreement concerned the division of television revenue, with 50% divided equally among the member clubs, 25% shared among the on the basis of league position at the end of the season, and the remaining 25% to be divided equally between the home and visiting teams of each televised match. The agreement also provided that the system of relegation and promotion would continue as if the new Premier League were the top tier of the Football League, with Premier League teams also eligible to participate in the League Cup and FA Cup competitions. The split has led to some confusion in naming, however, as the former Second through Fourth Divisions are now known as the Championship, League One, and League Two, respectively. While the founders' original intent was to operate the new Premier League under the authority of the English Football Association, they soon decided to break from the FA as well and, on 22 May 1992, formed a new company as the Football Association Premier League Limited. The new Premier League began play with the start of the 1992-93 season with 22 members: Arsenal, Aston Villa, Blackburn Rovers, Chelsea, Coventry City, Crystal Palace, Everton, Ipswich Town, Leeds United, Liverpool, Manchester City, Manchester United, Middlesbrough, Norwich City, Nottingham Forest, Oldham Athletic, Queens Park Rangers, Sheffield United, Sheffield Wednesday, Southampton, Tottenham Hotspur, and Wimbledon. Manchester United claimed the first Premier League title. Since then, only five clubs have won it: Manchester United (13 titles total), Arsenal (3), Chelsea (3), Manchester City (2), and Blackburn Rovers (1). Labels: Arsenal F.C., Blackburn Rovers F.C., Chelsea F.C., Everton F.C., Liverpool F.C., Manchester City FC, Manchester United F.C., Premier League, Tottenham Hotspur F.C. 16 July 1950 - Maracanazo! On 16 July 1950, Uruguay won the World Cup by beating Brazil 2-1 at the Estadio do Maracanã in Rio de Janeiro. The paid attendance was 173,850, but many reports place the actual attendance closer to 200,000. The 1950 tournament was Uruguay's first since winning the inaugural 1930 tournament and it was the first World Cup to be held since 1938, as the tournaments scheduled for 1942 and 1946 were cancelled due to World War II. A number of countries, such as Japan and the newly-divided Germany, were unable to compete, leaving only 13 teams to participate. As a result, FIFA changed the format so that the winner was determined by a four-team round-robin as opposed to a knockout stage. Going into the final match, Brazil was one point ahead of Uruguay in the standings, which meant that the hosts would claim the trophy with either a win or a draw. The Brazilians were heavy favorites, with overwhelming victories against Sweden (7-1) and Spain (6-1) in their first two matches of the round-robin. Uruguay, on the other hand, had drawn with Spain (2-2) and had come from behind against Sweden with an 84th-minute matchwinner (3-2). Reportedly, FIFA President Jules Rimet was so confident in a Brazil victory that he had already prepared a post-match speech in Portuguese to congratulate them. Similarly, the Brazilian Football Confederation had prepared winners' medals for each of the Brazilian players. Uruguay was unwilling to play the role of sacrifical lamb, however. Disregarding the defensive strategy devised by their manager, Juan López, the Uruguayan side attacked the favorites, a decision that appeared unwise when Brazilian forward Friaça gave the hosts a 1-0 lead in the 47th minute. 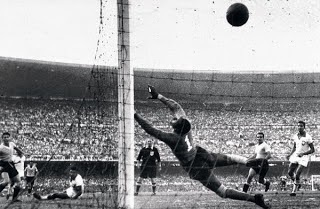 But Uruguay's attacks paid off as they equalized in the 66th minute with a goal from forward Juan Alberto Schiaffino, then took the lead with a strike from winger Alcides Ghiggia, who was Schiaffino's teammate at Uruguayan club Peñarol. According to Rimet, Ghiggia's goal had a dramatic effect on the crowd, saying "the silence was morbid, sometimes too difficult to bear." And, in fact, two Brazil supporters in attendance were shaken so badly by the loss that they committed suicide by jumping off the stands. The match gave rise to the slang term "Maracanazo," which refers to any upset in the Maracanã of the Brazilian national team or any of the Big Four Brazilian clubs (Flamengo, Fluminense, Vasco da Gama, and Botafogo). After the match, the Brazilian national team determined that their white and blue kit was jinxed, so they changed to the yellow, green, and blue kits they wear today. On 15 July 2004, FIFA officially recognized China as the birthplace of football. FIFA President Sepp Blatter, speaking at the opening ceremony for the Third International Football Expo in Beijing, announced that the organization agreed with the findings of the Chinese Football Association who dated the origins of the game back to approximately 300 B.C. in the city of Linzi in the Shandong Province. At that time, Linzi was the capital of the Qin dynasty. The ancient Chinese of that period played a sport known as cuju (literally translated as "kick ball"), in which teams from two to 16 people per side competed by kicking a ball stuffed with feathers and hair into small nets placed at the end of bamboo canes. The players could use any part of the body except the hands. The game grew in popularity through the subsequent Han dynasty (206 B.C.-A.D. 220), which standardized the game and even used it as part of a military training program. In the Tang dynasty (618-907), when the feather-and-hair stuffed ball was replaced with an air-filled one, the sport's popularity continued to increase into all sections of society, including women. It also extended into Korea and Japan. 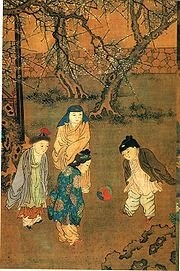 Professional teams developed in the Song dynasty (960-1279) and the sport became strictly regulated. Cuju began to decline in the Ming dynasty (1368-1644). Around 1900, modern football was introduced, leading to the creation of the CFA in 1924. On 14 July 1969, the army of El Salvador launched an attack on Honduras, beginning the four-day conflict known as the Football War. Tensions between the neighboring states had been rising for years, particularly over concerns about immigration and land reform. Geographically, Honduras is five times larger than El Salvador, but at the time, El Salvador's population was twice as large as that of Honduras. The combination led to the immigration of over 300,000 Salvadorans into Honduras by 1969. In 1962, in response to economic and political pressure, Honduras began a program of land reform that, by 1967, had resulted in expulsion of thousands of Salvadoran immigrants from Honduras and redistributing their land to Honduran citizens. Thus, when the two nations met during qualification for the 1970 World Cup, the matches were charged with political emotion. The first leg was played in Tegucigalpa on 8 June 1969, with the Honduran side claiming a 1-0 victory. 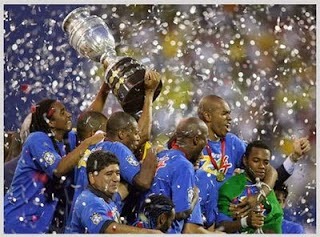 On 15 June, El Salvador won the second leg 3-0 in the city of San Salvador. Riots broke out before and after the match, resulting in the deaths of at least three Salvadorans. On 26 June, the teams participated in a playoff match played in Mexico City. El Salvador won 3-2 (a.e.t. ), advancing to the Final Round of CONCACAF qualification, where they defeated Haiti to earn their first World Cup apperance. On 26 June, El Salvador severed diplomatic ties with Honduras, citing the latter's failure to punish the alleged crimes or offer any reparations to El Salvador, and, the following day, Honduras severed its ties with El Salvador. On 14 July, after a series of small border clashes, El Salvador launched a joint air and ground assault on Honduras. The Salvadoran forces advanced 8 km into Honduras before being bogged down with fuel and ammunition shortages. The Organization of American States intervened and brokered a cease-fire on 18 July, though El Salvador did not withdraw its troops until 2 August. As a result of the conflict, between 60,000 and 130,000 Salvadorans had been expelled or fled from Honduras, while approximately 2,000 people were killed, the majority of whom were Honduran civilians. 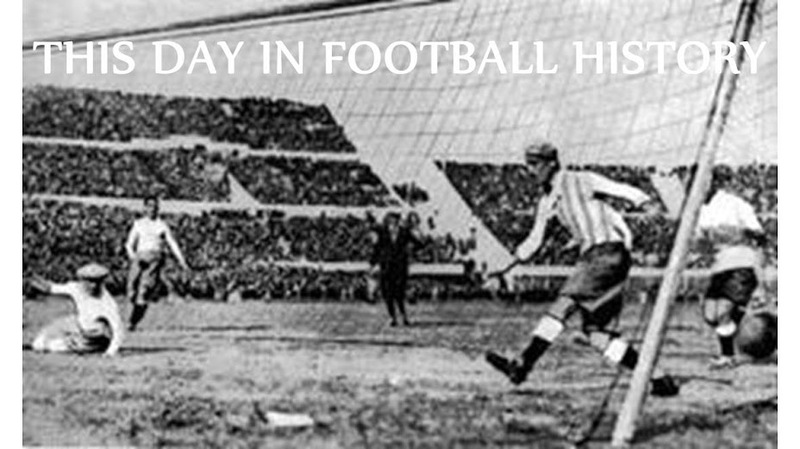 On 13 July 1930, France defeated Mexico 4-1 and the United States beat Belgium 3-0 in the first ever World Cup matches, played simultaneously in Montevideo, Uruguay. The France-Mexico match was played at the Estadio Pocitos before a crowd of close to 3,000, while approximately 15,000 people watched the United States and Belgium at the Estadio Parque Central. The first World Cup was open to all FIFA members, with no qualification necessary. Due to the distance and travel expense, few European teams were willing to participate, though FIFA President Jules Rimet ultimately persuaded Belgium, France, Romania, and Yugoslavia to make the trip. They were joined by nine Western Hemisphere teams; Argentina, Bolivia, Brazil, Chile, Mexico, Paraguay, Peru, the United States and hosts Uruguay. France's inside right Lucien Laurent scored the World Cup's first ever goal with a volley against Mexico in the 19th minute. Marcel Langiller added a second in the 40th minute, followed by André Machinot in the 43rd minute. Mexico's Juan Carreño pulled one back in the 70th minute, but Machinot scored his second in the 87th minute, sealing the 4-1 victory. France completed its group stage with losses to Argentina and Chile, however, and was eliminated from the tournament. In the other opening match, the United States' Scottish-born forward Bart McGhee scored a quick brace with goals in the 41st and 45th minutes. His fellow forward Bert Patenaude scored the third goal in the 88th minute, while goalkeeper Jimmy Douglas kept a clean sheet. The US finished at the top of its three-team group with a similar 3-0 win over Paraguay, then lost to Argentina 6-1 in the semi-finals to finish in third place overall. Uruguay claimed the first World Cup trophy with a 4-2 win over Argentina in the Final. On 12 July 2001, the comedy film Shaolin Soccer was released in Hong Kong. Written and directed by Hong Kong native Stephen Chow, who also stars as striker "Mighty Steel Leg" Sing, the film tells the story of a group of six brothers with superhuman abilities and martial arts skills who band together to form a football team called Team Shaolin. They enter the Chinese professional football league and advance to the final of the China Super Cup, where they face off against Team Evil. The members of Team Evil also have supernatural powers, so the Final becomes an epic battle of good against evil. 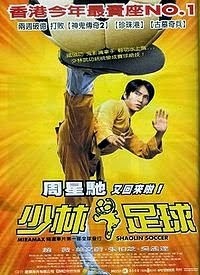 Shaolin Soccer opened to favorable reviews and became the highest-grossing film in Hong Kong box office history (until it was beaten in 2004 by Chow's follow-up, Kung Fu Hustle). The film earned multiple awards at the Hong Kong Film Awards, including Best Picture, Best Director, Best Actor (Chow), and Best Supporting Actor (Wong Yat-Fei). China banned the film for a year, reportedly over concerns about the name being offensive to Buddhists by placing the word "soccer" next to "Shaolin." Other reports, however, indicated that the film was banned because Chow did not await proper certification from Chinese authorities before releasing the film in Hong Kong. 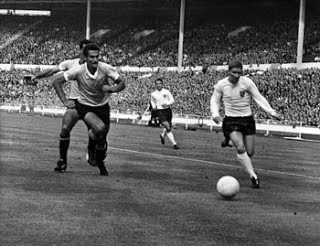 On 11 July 1966, England and Uruguay played to a scoreless draw in the opening match of the 1966 World Cup Finals before a crowd of 87,000 at London’s Wembley Stadium. The draw was particularly disappointing for the hosts. In 1963, after Brazil eliminated them from the previous World Cup in the first knockout round, the English FA appointed Ipswich boss Alf Ramsey as the national side’s first professional coach and he began to build a team and a system to compete for the trophy when the World Cup came to England. He did not lack for confidence and, shortly after his appointment, he boldly predicted that England would win the next World Cup. Ramsey had made several controversial decisions leading up to the World Cup, including giving the captain's armband to young defender Bobby Moore and switching England's formation from their traditional 4-2-4 to a 4-3-3. The new formation, which moved one of the forwards back into the midfield, had helped England defeat defending European champions Spain 2-0 in December 1965. Against Uruguay, however, the English midfield struggled to advance in support of the forwards, resulting in too little offensive power and a 0-0 draw. The draw called Ramsey's prediction into question, but England subsequently found its offense in 2-0 wins over Mexico and France to finish on top of its group, then proceeded to defeat Argentina (1-0), Portugal (2-1), and West Germany (4-2, a.e.t.) to claim its first World Cup trophy. 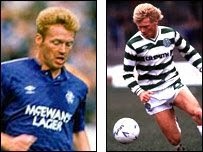 On 10 July 1989, Scottish striker and former Celtic star Mo Johnston signed for Rangers, igniting a firestorm of controversy across both sides of the Old Firm. Johnston had been born and raised in Glasgow. In 1984, after beginning his professional career with Partick Thistle (1981-84) and then Watford (1983-84), he signed for Celtic, the team he had supported as a child. He was an immediate success for the Hoops, scoring 52 goals in 140 league appearances and helping them to the Scottish Cup trophy in 1985 and the league title in 1986. In 1987, he transferred to Nantes, where he played for two seasons. In 1989, near the end of his second season with Nantes, Johnston announced his intention to return to Scotland and play again for Celtic. But just days after reaffirming his commitment to Celtic at a press conference at Celtic Park, he signed with their bitter rivals, Rangers. The move shocked and angered Celtic supporters, many of whom felt betrayed by a player whom they had previously supported and who had himself grown up supporting Celtic. He reportedly received several death threats. Celtic supporters weren't the only ones upset, however. Many Rangers supporters were incensed that the club had signed a former Celtic player, due in no small part to the fact that he was a Roman Catholic. The Old Firm has traditionally broken down along religious and political lines, with Catholics and supporters of Scots-Irish independence mostly favoring Celtic, while Protestants and British Unionists generally side with Rangers. When Johnston signed for Rangers, he became the first Catholic to do so since the end of World War I (and had the highest profile of any previous Catholic signing). Thus, many Rangers fans reacted to the news of Johnston's signing by burning their scarves and season tickets in protest. Johnston played only two seasons for Rangers, scoring 46 goals in 100 appearances and winning two league titles. He subsequently played for Everton (1991-93), Hearts (1993-94), Falkirk (1994-96), and the Kansas City Wizards (1996-2001), before retiring as a player and moving into management, first with the New York Red Bulls (2005-06), then Toronto FC (2006-08). Johnston's last-minute switch went unexplained for years until 2001, when his former agent Bill McMurdo revealed that the decision was neither his nor Johnston's, but was instead made by the company that owned Johnston's contract. According to McMurdo, that company simply sold him to the highest bidder, who happened to be Rangers. Labels: Bill McMurdo, Celtic F.C., FC Nantes, Mo Johnston, Rangers F.C. On 9 July 1867, a group of unidentified men in Glasgow formed Scotland's first football club, Queen's Park FC. It was the first football club in the world outside of England and Wales. Queen's first recorded match came more than a year later when, on 1 August 1968, they defeated Glasgow's now-defunct Thistle FC by the score of 2-0. Two years later, in 1870, Queen's joined the English Football Association and advanced to the final of the FA Cup in 1884 and 1885, losing to Blackburn Rovers both times. Shortly after Queen's establishment, other clubs began to sprout up across Scotland and, in 1873, Queen's joined with eight other clubs to form the Scottish Football Association. They dominated the new league, not conceding a goal until 1875 and not losing a match until December 1876. 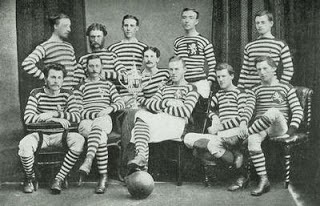 They also won the first three Scottish Cups (1874-76). In all, they've won the Scottish Cup ten times, a number second only to Celtic and Rangers. As the surrounding clubs turned professional at the turn of the century, Queen's remained staunchly committed to its principles as an amateur club. They joined the Scottish Football League First Division in 1889, but found it difficult to compete against the professional sides and were relegated to the Second Division in 1922. They last played in the top flight from 1956 to 1958 and have since bounced among the second, third, and fourth tiers. Still playing as the Scottish Football League's only amateur side, they are currently in the fourth tier (known as League Two). 3 July 1992 - Welcome Bafana Bafana!